If you’re from the south like me, then you are well aware of the fact that iced tea is a definite food group. We like our tea and we like it sweet. Am I right? In the past I had a hard time finding a sweetener that added the sweetness I was looking for without a funny aftertaste I just couldn’t handle. But when it comes to my iced tea, I need some sweetness! So how’s a southern girl supposed to enjoy her sweet tea and a lifestyle that focuses on wellness – at the same time? Let me introduce you to my new iced tea companion: Born Sweet® Zing™ Zero Calorie Stevia Sweetener. This is one of those drinks you can serve your guests to wow them or have it on hand for a refreshing beverage, minus the calories. It only requires four ingredients (five if you want to get technical and count the water) and makes a drink that is equally delicious and beautiful. Just look at the color! Here’s how to make it: Watch the how-to video and read the instructions below. Place two black tea bags (family size to make two quarts) and ¼ cup of mint leaves in a 2 quart or larger pitcher. Pour 8 cups of hot water over the tea bags and mint and let it steep for 3 to 4 minutes. If you steep it any longer the tea will become bitter and well, we just can’t have that now can we? 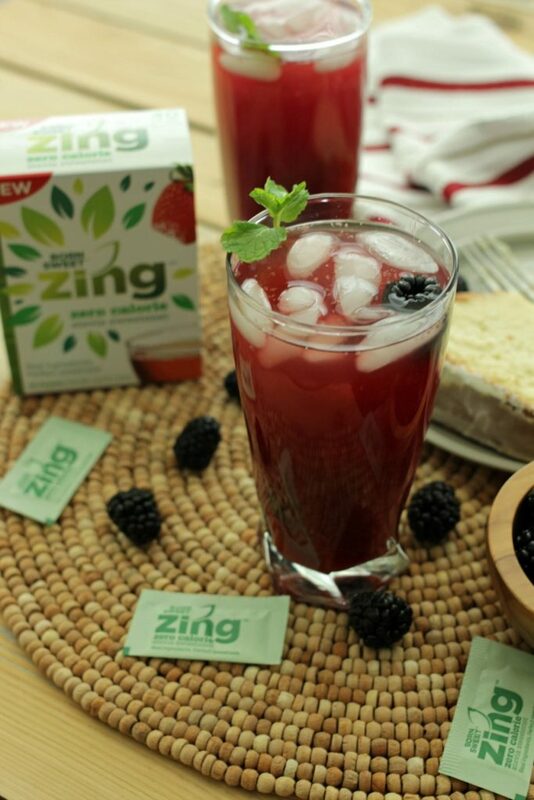 Mix in 6 packets of Zing™ Zero Calorie Stevia Sweetener and stir. Place it in the refrigerator to chill. While the tea is chilling, it’s time to puree your blackberries. Take a 12 oz. container of blackberries and puree it using a high powered blender or food processor. Speaking from experience, pureeing with a food processor is best. Strain the pureed blackberries through a sieve, making sure to get out most of the seeds. 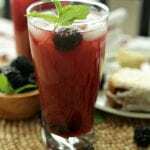 Pour your blackberry puree into the cooled ice tea and mix. Pour over ice; add a couple of whole blackberries and a sprig of mint for color. Congratulations. 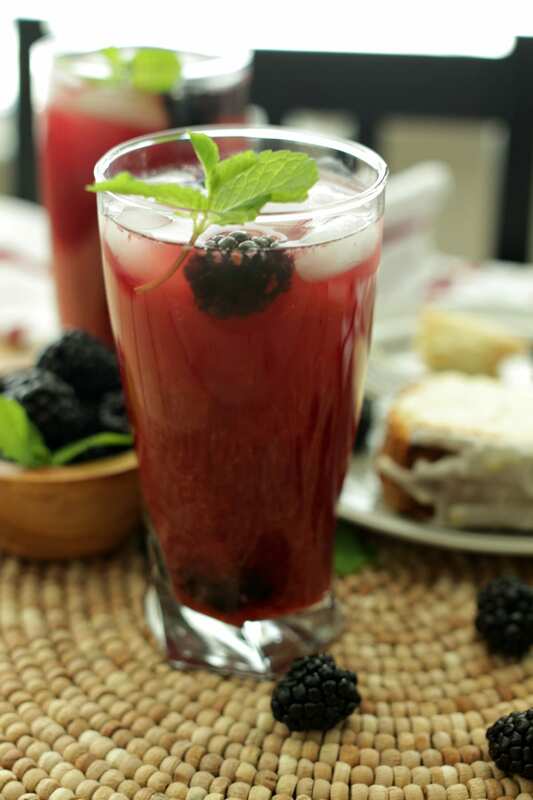 You now have one beautiful, sweet and tasty glass of Blackberry Mint Iced Tea. Because I used Zing™ Zero Calorie Stevia Sweetener, I have a delicious iced tea concoction that has the perfect amount of sweet, without a funny aftertaste or artificial ingredients. And as an added bonus, I sweetened my drink without adding any unwanted calories! You can also add some sweetness to your coffee, smoothies, hot tea or over fruit. 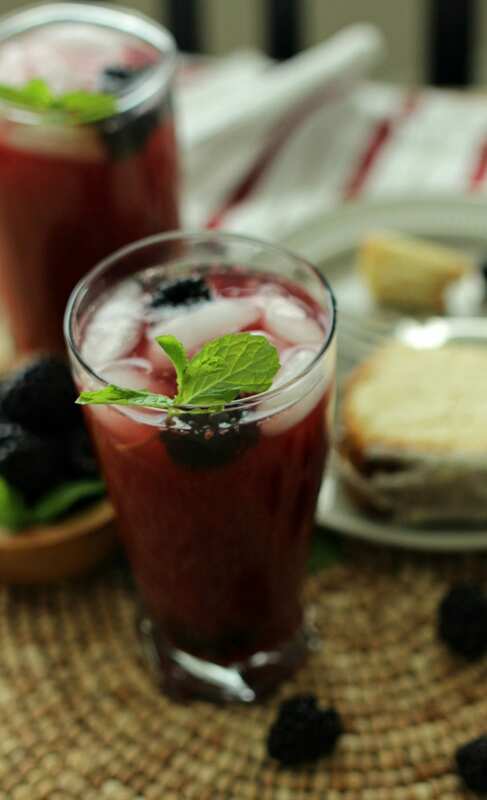 Are you ready to make a pitcher of Blackberry Mint Iced Tea? My kids couldn’t get enough of this stuff and neither could I! Click below to print out this recipe and try it for yourself. Get a Free Sample of Zing™ Zero Calorie Stevia Sweetener here and visit for the Where to Buy page to find Zing™ products in a store near you. 1. Place two black tea bags (family size to make two quarts) and ¼ cup of mint leaves in a 2 quart or larger pitcher. 2. Pour 8 cups of hot water over the tea bags and mint and let it steep for 3 to 4 minutes. If you steep it any longer the tea will become bitter and well, we just can’t have that now can we? 4. 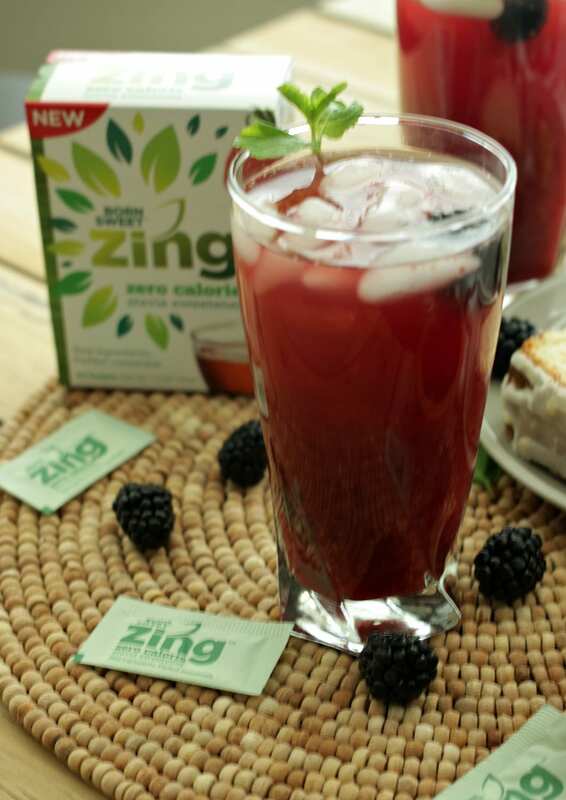 Mix in 6 packets of Zing™ Zero Calorie Stevia Sweetener and stir. Place it in the refrigerator to chill. 5. While the tea is chilling, it’s time to puree your blackberries. Take a 12 oz. container of blackberries and puree it using a high powered blender or food processor. Speaking from experience, pureeing with a food processor is best. 6. Strain the pureed blackberries through a sieve, making sure to get out most of the seeds. 7. 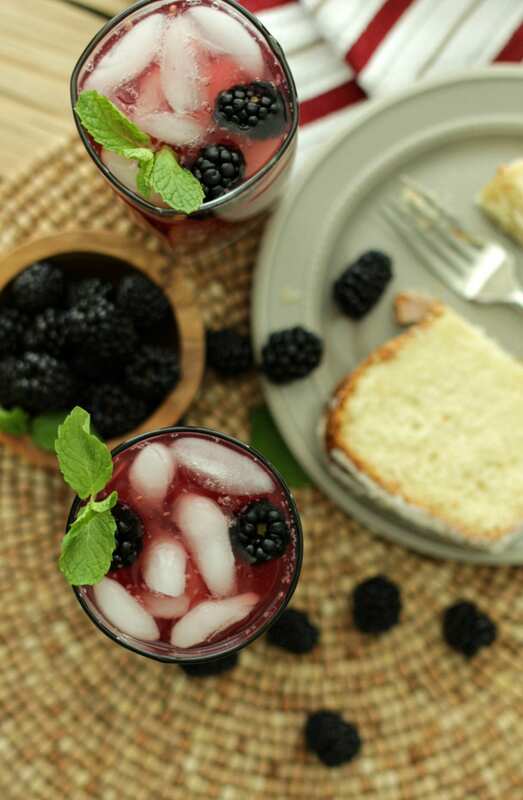 Pour your blackberry puree into the cooled ice tea and mix. 8. Pour over ice; add a couple of whole blackberries and a sprig of mint for color.